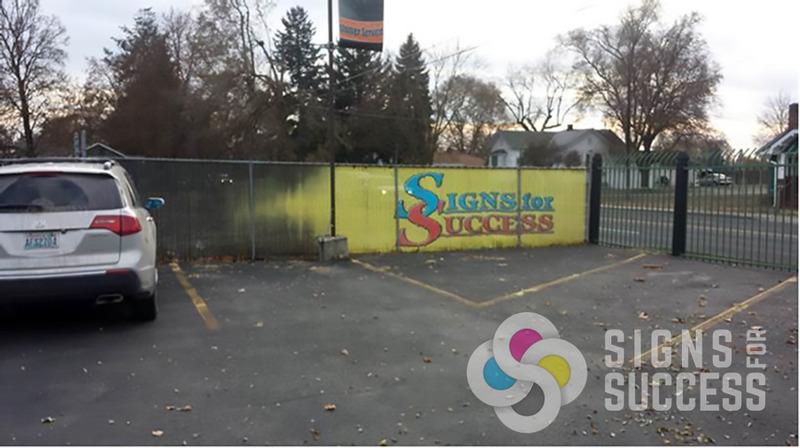 Why go solid when a photo or graphic will say it better? 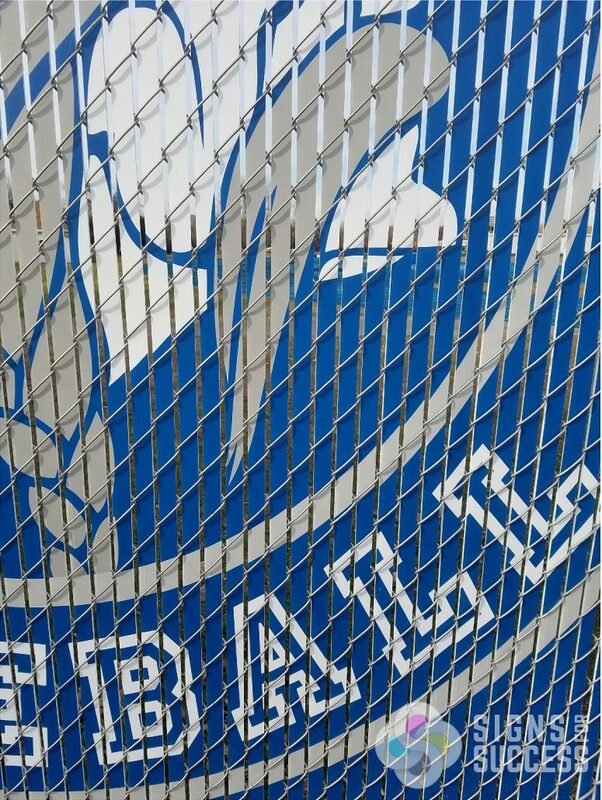 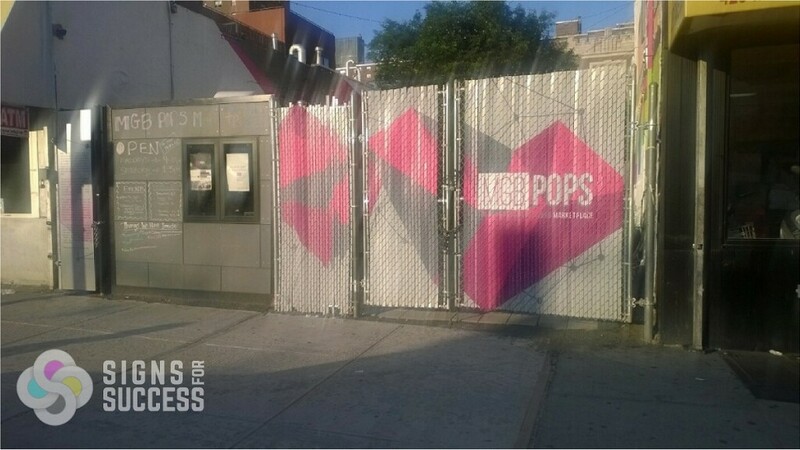 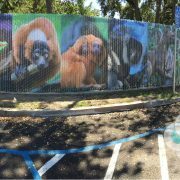 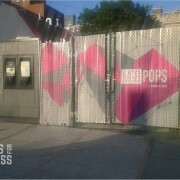 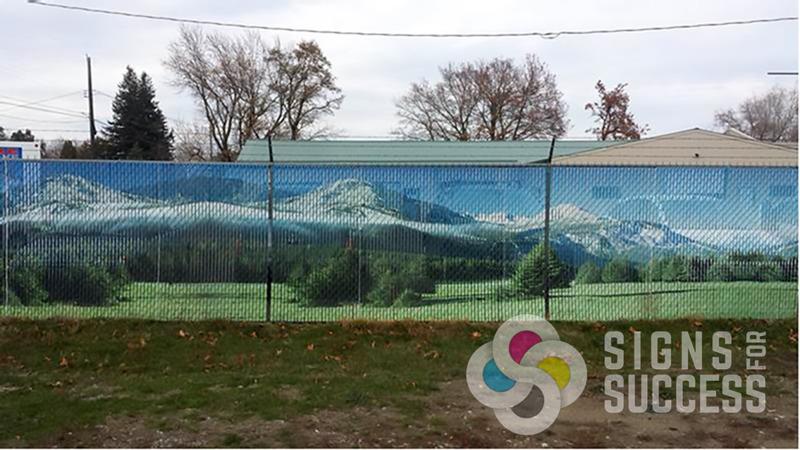 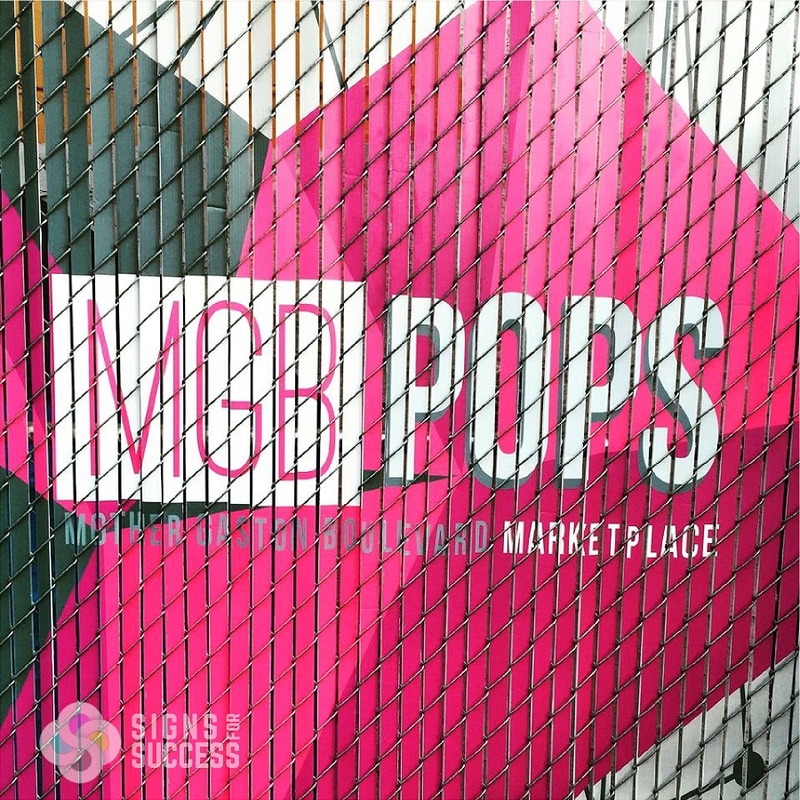 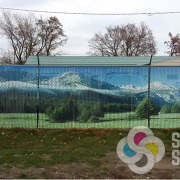 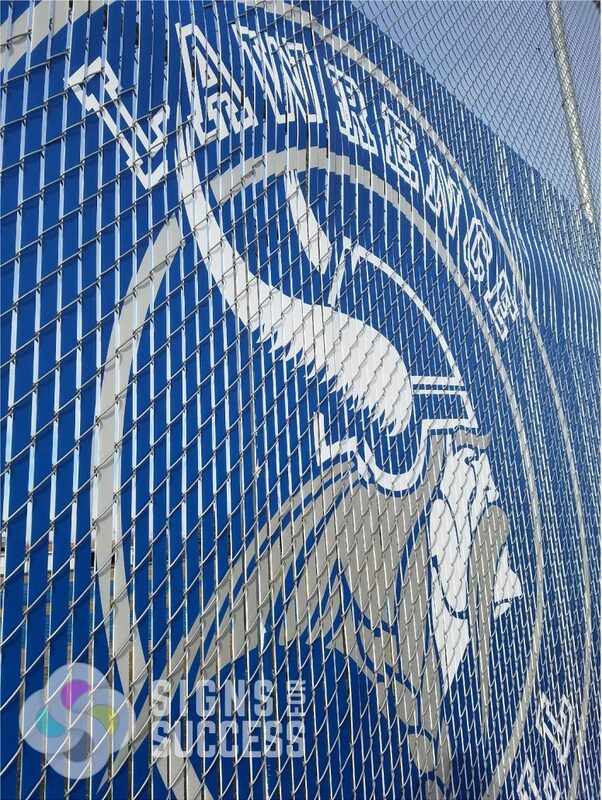 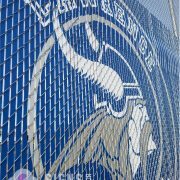 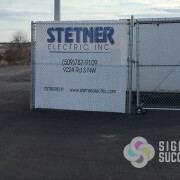 Unlike zip tying banners or panels to chain link fencing, custom chain link fence slats, printed plastic inserts are stable and not susceptible to wind damage. 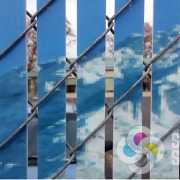 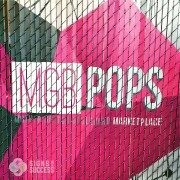 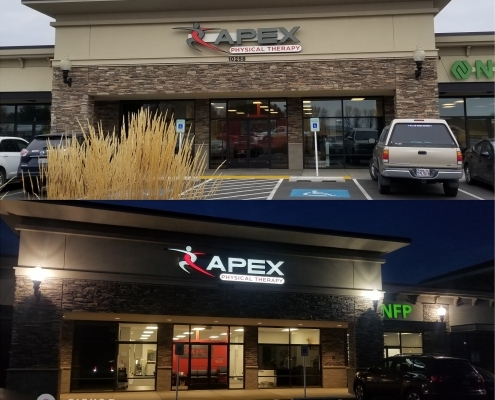 Privacy slats are outdoor durable and can be used for advertising as well as a decorative way to create privacy outside your business or home. 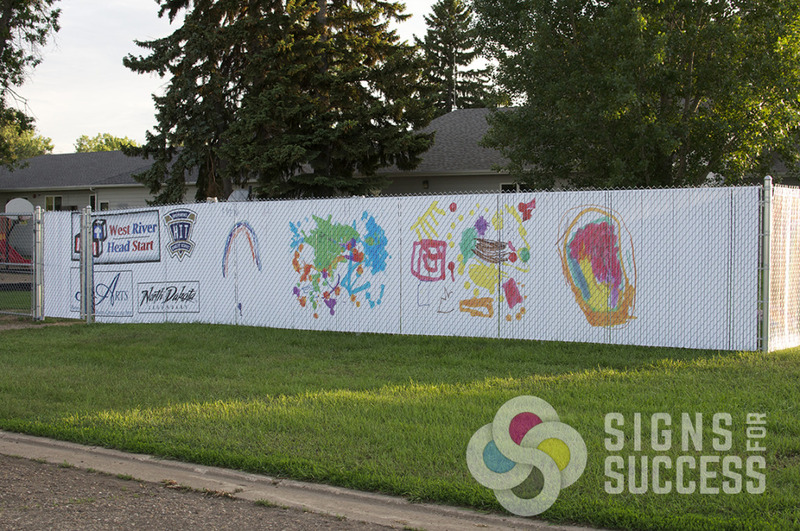 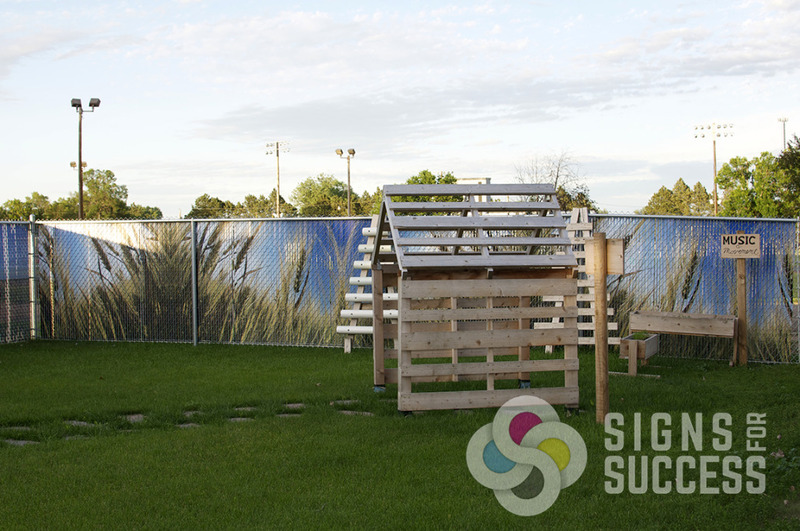 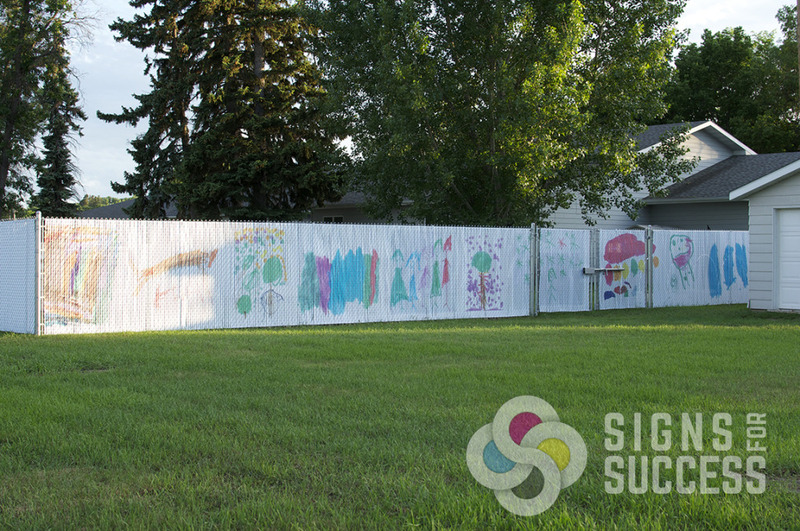 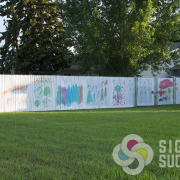 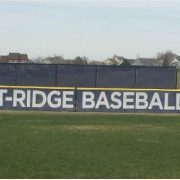 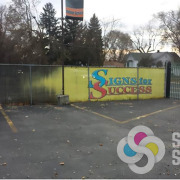 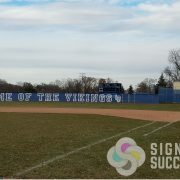 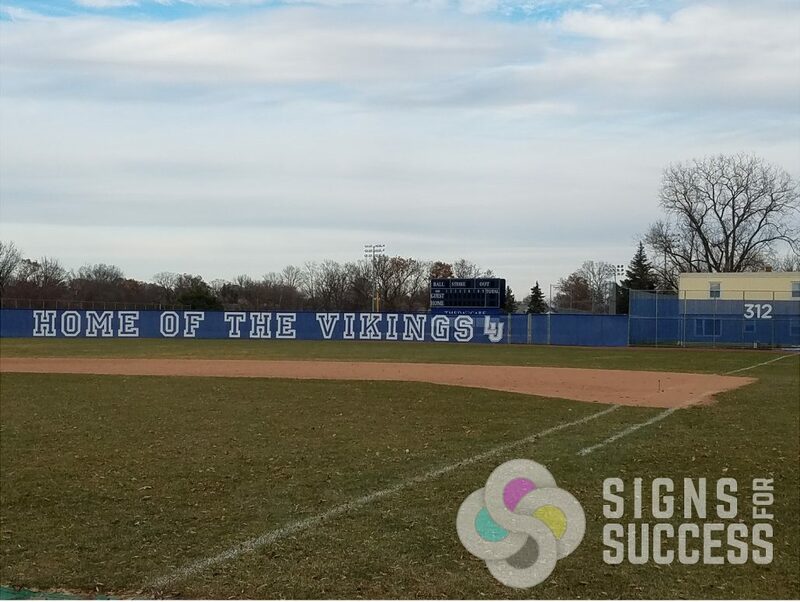 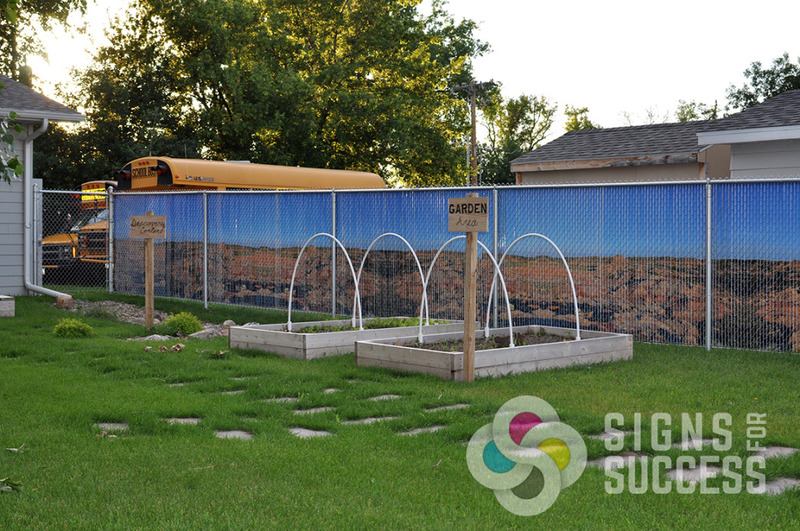 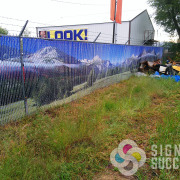 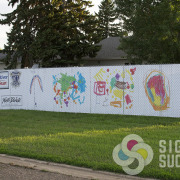 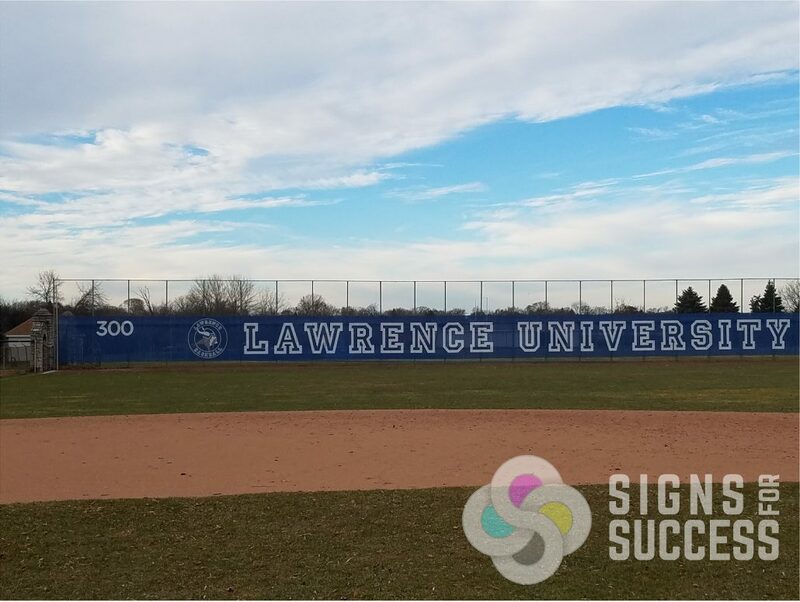 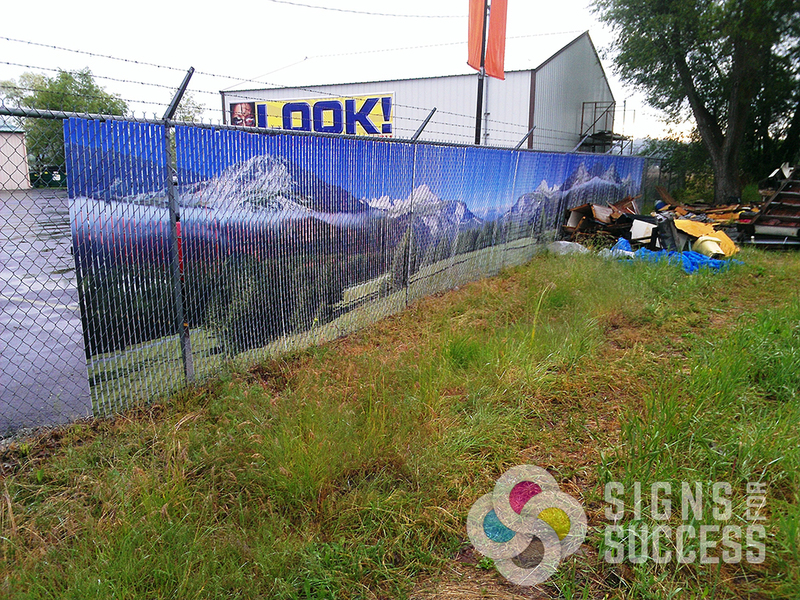 When you have a personalized message added to your fence, whether it’s a landscape or seascape, logo or children’s drawings, it makes an attractive visual for both sides of the fence. 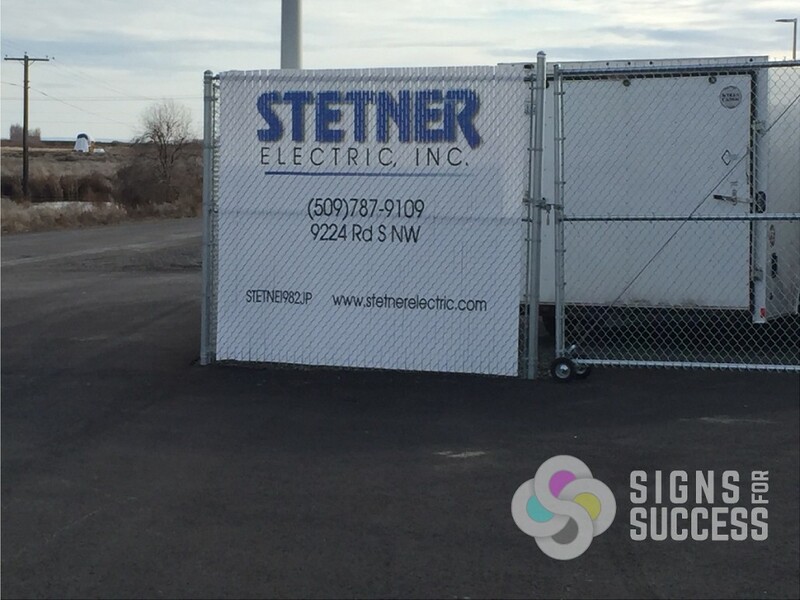 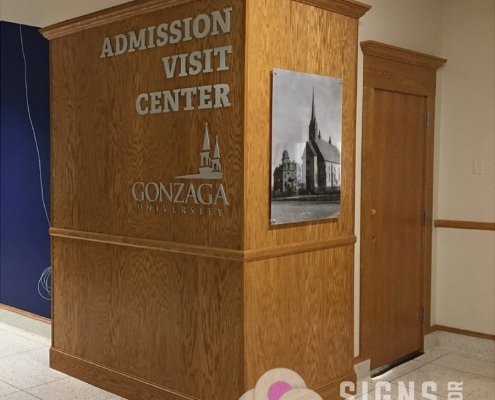 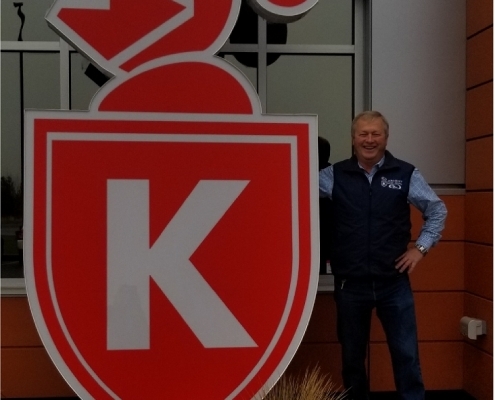 When you order custom privacy slats, Signs for Success provides the printed sheets of corrugated plastic, a specialized cutting tool to cut down the slats, and edge cap for a bottom track so the slats stay level. 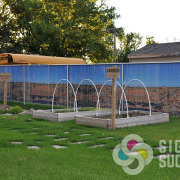 Corrugated plastic is easy to cut with the provided tool. 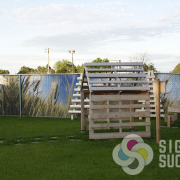 We recommend having two or three people installing the slats, and, starting in the center, moving out in two directions. 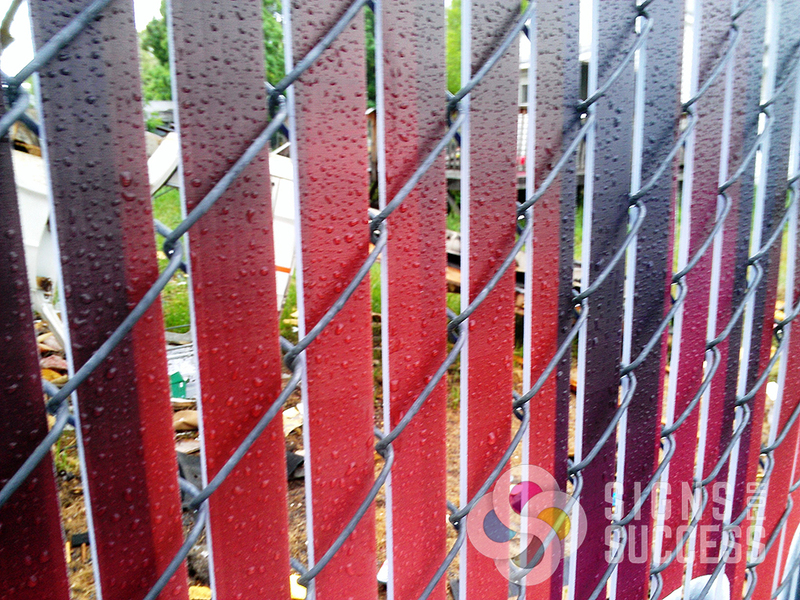 To begin, weave a piece of bottom edge cap into the chain link where you want the base to be. 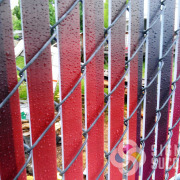 Then weave the first cut slat into the chain link from the top until it rests in the edge cap. 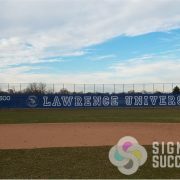 Why do we send the sheets whole? 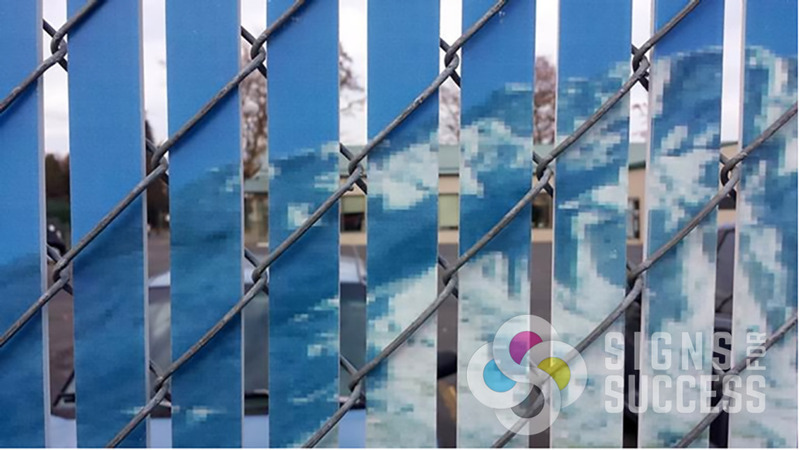 Printed corrugated plastic slats are a bit thicker than standard privacy slats; if the pieces are cut off-site, we risk cutting the wrong width. 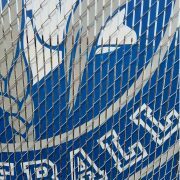 Besides that, it’s just not effective to cut the individual slats off-site because you’d have to assemble a jumbled 250-piece puzzle (give-or-take).